The blue socks are for Mr Soaring Sheep, I've done the heel now. The yellow cardigan is using the Tully pattern by Georgie Hallam and I'm onto the increases to make the pretty sleeve shape. The rainbow socks are my first time knitting two at a time. I posted about them on Monday. I've been starting to think about what I want to knit next. I rather fancy making a sweater for Mr Soaring Sheep but I'll have to semi-design it myself as he's a bit fussy. I probably need to do some swatching. I've spotted a couple of sock patterns I fancy having a go at too but I'd like to finish one of my current sock WIP's first. 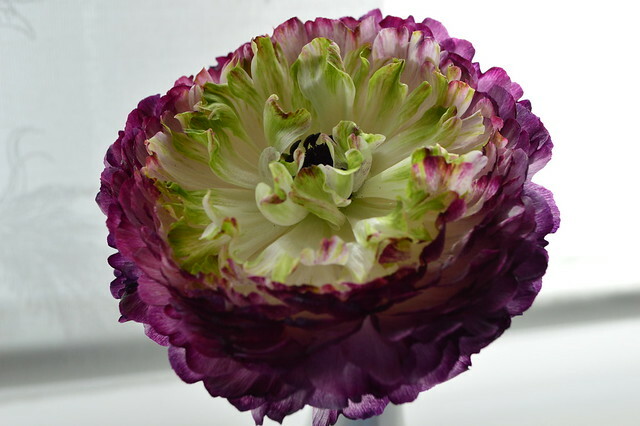 That is a seriously amazing flower. Wow. :) I love the detail on the bottom of the sweater. So cute. It's a nice lace pattern isn't it, very simple too, just a 4 row repeat and two of them are purl rows! What a sweet little grouping of pretty knits! 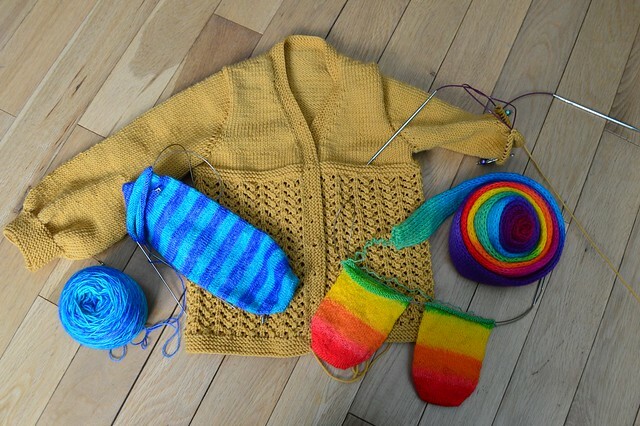 Love the rainbow socks - once you knit two at a time you'll never go back. as you know I'm partial to that cardigan :) Love the socks and that flower is just bursting with beauty!! I love all of your WIPS!! The flower and vase and beautiful. Cute, little vase with an unusually colored flower. Does that sock yarn dyer knit the flat first and then dye it? That seems like an intriguing process. 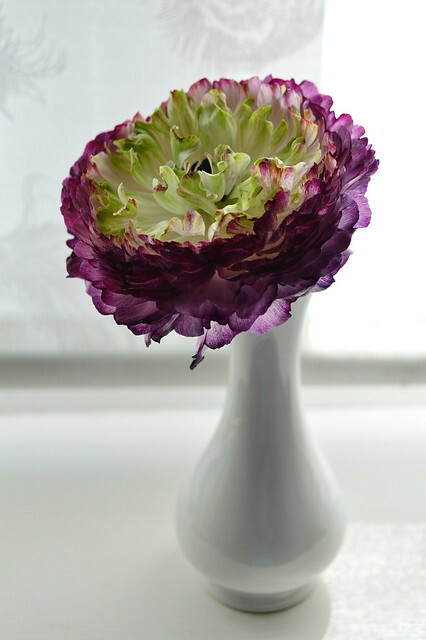 that gorgeous vase is perfect for that gorgeous bloom !! !